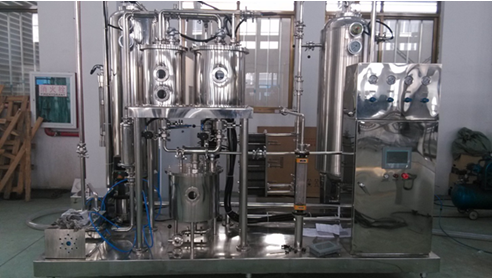 QYHS series drink mixer adopts special mixed gas and liquid ejector and the technique of vacuum deoxidation. The mixing precision is high and the CO2 is fully mixed. The mixing proportion between water and syrup is seriously controlled by micro metering device. 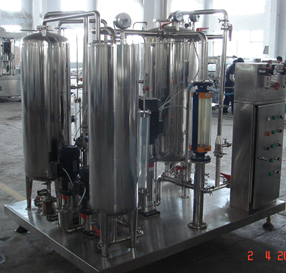 It is equipped with CO2 accuracy pressure control, so that the liquid level is always stable. The alarm device for low pressure and low liquid level ensures the quality of its production. The machine obtains advantages of high reliability, high efficiency, high grade of automation and easy operation, etc. Send us a message,We will reply in 24 hour!